Summertown Interiors has completed the office of Japanese pharmaceutical firm Astellas, ahead of schedule and with the attention to detail for which the business has earned its industry reputation. 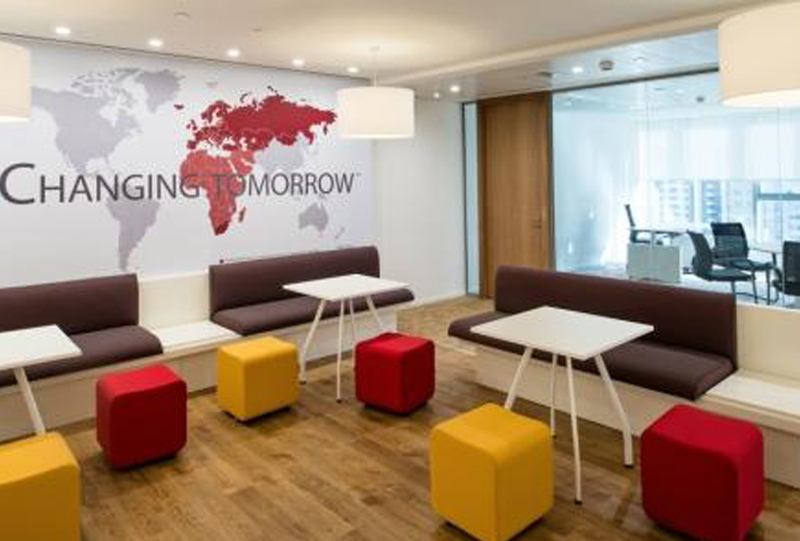 The AED2.9 million fit out of the new office, delivered in just 12 weeks, is the pharma company’s new regional HQ for the Middle East, North Africa and Sub Saharan Africa region. Located in Platinum Tower in the sought after Jumeirah Lakes Towers (JLT) area of Dubai, the 500m² office enjoys an open, transparent feel thanks to seamless glass partitions and inspired layout. The space includes a reception area, large scale conference room, an integrated breakout area that also includes the office pantry to promote collaboration in an informal environment, plus IT function areas to host server and printing facilities. Accent colours used throughout the office help to reflect the young, dynamic and energetic nature of the Japanese company. Summertown Interiors was selected to fit out the office based on its consistent attention to detail and ability to deliver quality on time. Adopting a partnership approach with specialist professionals, including MEP consultant Chapman BDSP, resulted in local authority approval being completed in record time and on first inspection. Efficiencies at all stages of the project were achieved through regular site visits and progress meetings. Summertown’s green waste management standards applied onsite meant that the project’s environmental impact was minimised, with construction waste being recycled where possible and materials reused onsite. Rigorous international health and safety procedures were applied at all stages of the project.